From the very beginning, a key element to the Rocky Mountain Land Library’s vision has been the creation of a residential library, a place where people can come and stay for as long as they like, prolonging their exploration of the books, and the surrounding lands. 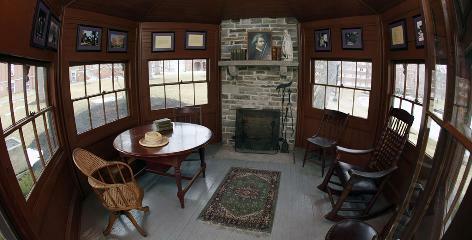 Author and naturalist Henry Beston built such a place in 1925 (pictured above). The time he spent at his tiny dune shack was the inspiration for a true natural history classic, The Outermost House: A Year of Life on the Great Beach of Cape Cod. Over the years, literary pilgrims flocked to Beston’s simple shack, until it was finally claimed by the sea in the Great Blizzard of February 1978. The shack was so close to the ocean that Beston once commented on its ten windows and immediate views of the Atlantic — so close that he felt as if he were aboard a ship. Here’s a book that has long fueled our hopes to create simple quiet places that will give people the gift of time and uncluttered space. Alex Johnson’s Shedworking: The Alternative Workplace Revolution is full of ingenious huts from around the world. (For more information, visit Alex’s excellent site, www.shedworking.co.uk). 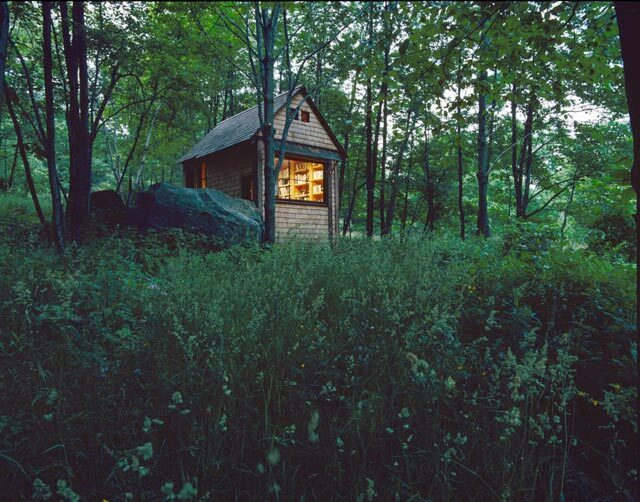 Taking inspiration from Henry David Thoreau, among others, author Michael Pollan set about designing and building a tiny book-lined retreat on his Connecticut property, as described in his book A Place of My Own. Forget About the Nobel Prize, This is Good Enough for Popular Mechanics! Alex Johnson describes George Bernard Shaw’s whirling dervish of a hut: “It had a revolving base which used castors on a circular track. The hut, at his home in Shaw’s Corner, Ayot St. Lawrence, Hertfordshire, could thus be moved to improve the light or change the view (or indeed just for a bit of exercise).